Plenty of startups are tackling the sleep problem. Wearables like Lark and Jawbone’s UP track how well you sleep, while apps aim to monitor your sleep cycles by bringing your phone into bed with you. Collecting data on our sleep patterns can be eye-opening, but it can only do so much to improve the environmental factors that keep us from getting the shut-eye we deserve. Casper is approaching the problem from the ground up with its redesigned mattress. Casper’s first product, which launched back in April, aims to address three different issues in the mattress industry: the shopping experience, distribution, and the product itself. On the shopping front, Casper has bypassed your usual mattress superstores, which have become a caricature of poor salesmanship, in order to sell just one model via its website. As for distribution, the mattress comes packed in a box that can be delivered locally by Uber or bike couriers in New York, or via free two-day shipping in the US. Global shipping is currently in the works. Casper handmakes its mattresses in the US and sources most of its materials domestically. The mattress ranges in price from $500 for a Twin, $850 for a Queen and $950 for a King. That’s more than I’ve ever paid for a mattress, but it’s affordable by memory foam standards. A natural latex mattress from IKEA, for instance, costs $999 for a Queen, while Novosbed’s basic Queen model is priced at $879. Casper’s worth the money. After two weeks of sleeping on it, I’m happy to say that the bed is delightfully comfortable. The company’s name seems quite fitting now, as lying on top of the combination memory and latex foam surface feels a lot like cuddling up to a friendly ghost. If you like your mattresses firm, Casper is likely to be too soft for you. I’ve heard mixed responses from friends that have given the bed a quick try. Casper manages to make you forget that it’s there, which is an accomplishment in my book. With the exception of the beds at a couple high-end hotels, this is the nicest mattress I’ve slept on. Casper has a 40-day free-return trial period if you want to give the mattress a try. The company does recommend that you use it for at least two weeks before sending it back, though. One downside after using Casper it that my pillow now feels inadequate next to this awesome mattress. The company has said that it’s interested in other sleep items, such as pillows and sheets, so you have that to look forward to. 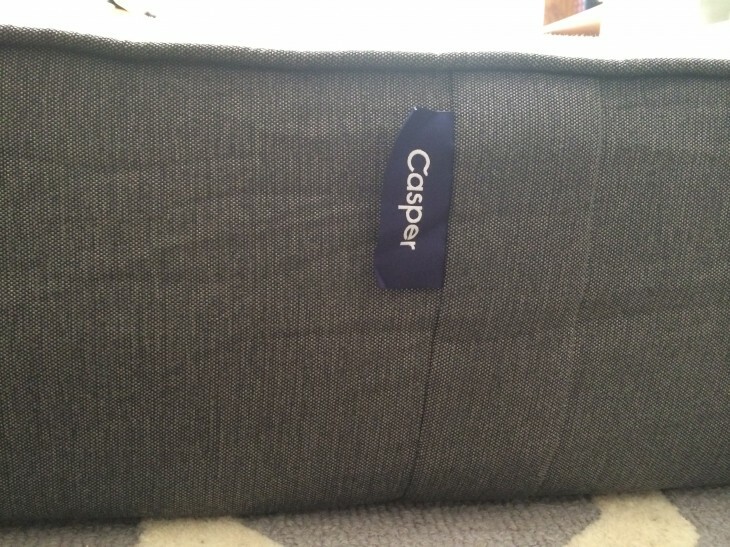 Bed preferences are so varied that I can’t unequivocally recommend Casper to everyone, but if you can handle a soft mattress and the $500-$950 price tag doesn’t dissuade you, Casper’s worth checking out. Even if you don’t decide to keep it, you’ll hopefully get up to 40 days of good sleep.